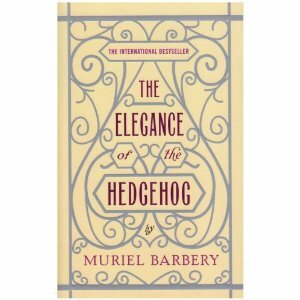 Have you read The Elegance of the Hedgehog? I would love for you to leave your thoughts and comments down below, especially if you have anything to say on these discussion points! Also this review obviously will contain spoilers! Overall I really enjoyed the book, it was quite a quick read although there were some parts which required a little more work. It was a rewarding book that I enjoyed although there are hints of self indulgence/pseudo-intellectualism throughout but I can overlook it because of its charm! The Elegance of the Hedgehog is stylistically enjoyable and despite it being a translated work it reads well. There are some parts which don't translate that well, I think that there are parts where linguistic devices are used in French to emphasise the cultural and class divides which aren't as obvious in English. The book deals with some meaty philosophical concepts, which in parts are quite self indulgent. The first third of the book can get a bit boring, with elements similar to Life of Pi in that way. I can totally get why people wouldn't like it, it can be more like a series of philosophical essays rather than serving any purpose for the plot. However things pick up in the middle and final thirds, Ozu's entrance did a lot for the book. However I wish we learned more about that relationship before the big twist. Although the novel developed the characterisation of the main trio I feel we really missed out on the relationships between the residents. There was some flashes of deeper characterisation such as the meeting of the residents's dogs, which I liked but I wish there was more! The book does have a slight timeless feel even though it was only published in 2006. It hasn't dated much, except from some political references. The concept of the elegance of the hedgehog is introduced by Paloma to describe Renee- with her tough and spiky exterior juxtaposed with interior class and culture. It is definitely an interesting concept and the book often focuses on the beauty within normal and often marginalised people. One way it's illustrates is through the use of language and culture to cross class and social boundaries. I have mixed feelings about the twist and ultimately I found the sudden ending ultimately disappointing and a loss of all the momentum that had just beginning to form! What did you think? I also made a YouTube video discussing The Elegance of the Hedgehog on my channel - and although it ended up a little corrupted which is super annoying!